Facebook announced the availability of custom audiences and lookalike audiences within its analytics for apps. The social network also announced that application developers using analytics for apps can now log up to 1,000 unique events, up from 300, and they can renamed existing events and parameters and deactivate events that are no longer in use. And analytics for apps users will begin receiving regular emails containing usage trends for their apps, recent activity and suggestions for actions they can take via their dashboards. Analytics for apps helps you understand your app’s audience by empowering you to create segments—for instance, German purchasers or men who use iOS devices. While surfacing relevant ads to these groups has once been a considerable challenge, you can now create custom audiences directly from your segments to run targeted campaigns, and grow your business. 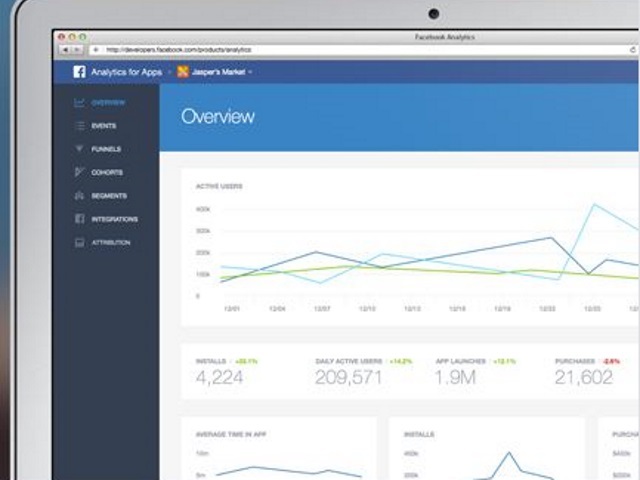 Developers: What do you think of the new features in analytics for apps?